We carry a variety or wraps, harnesses and braces for support of weak or chronically debilitated patients. 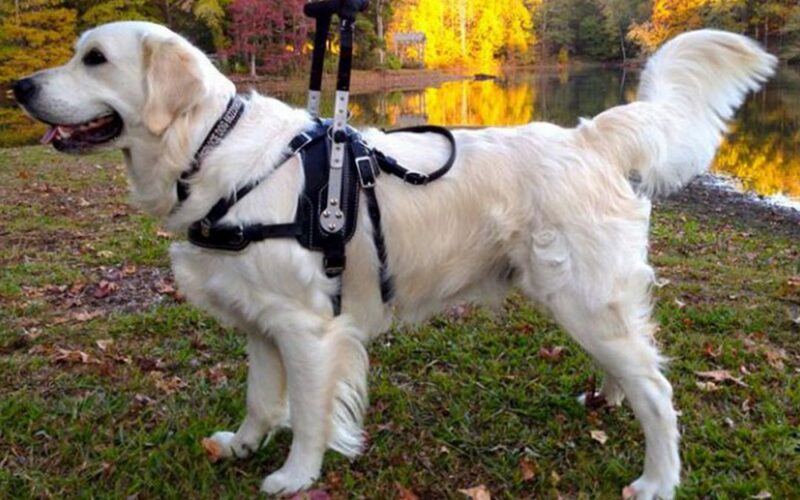 Walkabout Harnesses are commonly used on animals with arthritis, hip dysplasia, spinal trauma and general fatigue. Dog Leggs products provide therapeutic and rehabilitative padding and support. Information, services, products, messages, and other content on this website are provided for educational and general informational purposes only. No warranty is expressed or implied with respect to health care, treatments, or any other matter. Certain links included on this website are links to other websites owned by third-parties. P.A.W.S. for Rehabilitation is not affiliated with, does not endorse, and is not responsible or liable for any content, advertising, products, services, or other materials appearing on any linked website.